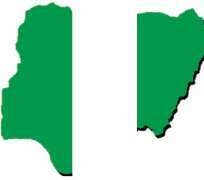 I write not to debase, denigrate or rubbish Nigeria, but to expose its procrustean and internecine flaws. Flaws that are bound to progress tragically into generations in the life of the country if proactive, concerted, sensible, conscious and linear steps are not taken to turn them into claws for “clawing in” fairness, transparency, equity, justice and discipline. Of all the flaws in gangrenous Nigeria, corruption is undoubtedly one of the most fetid. Corruption and oppression in Nigeria are wedded to each other in a titillating romance. In fact, one umbilical cord connects them both. Nevertheless, distilling, adumbrating and discussing the corruption-oppression relationship are not the objective of this article. The corruption and oppression mix brings into focus two classes that are in diametrical opposition, and at daggers drawn in Nigeria. The classes are the corrupt oppressors and the corrupt oppressed. The former is a confluence of the patrician, the wealthy, influential and the “ogas”; the latter is a tattered mass of ordinary people; the masses. While the corrupt oppressors keep the corrupt oppressed under their heavy boots, stifling and emasculating them of opportunities to a better life, the corrupt oppressed struggle frantically to get under the strato-cumulus of the corrupt oppressors. That is, the corrupt oppressed take every step, even daredevil strides to get into the “cloistered clique” of the corrupt oppressors. The umbilicus of both classes is corruption; the weak is corrupt, and the strong too is corrupt, which leads to a corruption bonanza. To demonstrate the crude longing of the corrupt oppressed to graduate to the “venerable” stratum of the corrupt oppressors (which is the focus of this piece), here are some accounts which are fruits of inquiry, investigation and study. John is a young Nigerian civil servant. He is on grade level nine. He takes his job seriously; seriously to mean brownnosing, bootlicking, and running odd errands for his boss, a director in the ministry he works. He knows his boss' sleazy and corrupt secrets. Secrets he keeps to himself. He wants to get there too. There to mean, to become a director and enjoy all the “corrupt perks and sleaze”. According to some Nigerian civil servants, their salaries are never enough; they must through underhand means augment what they receive from the government. This is the view shared by John. The thought of becoming an “oga” and controlling iniquitous pecuniary estates excites him. He strives to work harder; harder in the direction of his depraved goal. However, he prays that things do not change before the “corrupt perk and sleaze” pendulum swings his way. It will mean a crash of his dreams if suddenly corruption disappears from the system. But he assures himself that corruption seems ossified in Nigeria, and as such his immoral aim is achievable. This is John who is in the class of commoners; the corrupt oppressed in Nigeria, also known as the masses. If he succeeds in his obnoxious goal, it means the baton will be passed to those like him, and those not like him will be crushed. John's case is a vestibule into understanding the nature and minds of the working population in the corrupt oppressed stratum in Nigeria. Nevertheless, this is far from generalising that all Nigerians in the proletariat class are corrupt. Again, Sanni is a corps member. He serves in Ekiti state. And he is a member of the Economic and Financial Crimes Commission Community Development Service Group (EFCC CDS). His greatest ambition is to become a politician. Sadly, this ambition is propelled not by a need to serve his people, but by an overarching desire to loot, marry many wives, use “wailing” cars to oppress road users, and build many houses at different highbrow locations. True to his ambition, he has made preparations to contest the Councillorship election of his zone not minding the fact that he is still doing his youth service. And Sanni being from Northern Nigeria, politics is a common commodity; a commodity which attracts many “rankadedes”. However, he prays that the corruption ridden status-quo remains unchanged before he achieves his ambition. He must have his turn at a large chunk of the proverbial national cake before corruption dies. He must also sire political sons in his likeness, and every other person who opposes him oppressed and crushed before a change in the nexus of things. These are the earnest prayers from the pious heart of Sanni. Clearly, Sanni's case is a window into understanding the minds, proclivities and opinions of young educated Nigerians in the class of “ordinaries” about joining politics. This does not obviate the noble place of a very few young educated Nigerians in the same class who have genuine and selfless intentions in joining politics. Another scenario is Ngozi, a young banker, of the ordinary folk too who dreams of becoming the Managing Director of a Nigerian bank. She believes that to get to that coveted position she must have the necessary “connections”or "sleep her way through". And when she eventually gets there, she must do what other corrupt managing directors have done; her own case will not be different, and only those connected to her will get help from her. These accounts amplify the assertion that Nigeria is breeding future corrupt oppressors and not “leaders of tomorrow”. In agreement with this plank, the situation is such that the corrupt oppressed try to move up the corruption ladder, from getting tokens to looting millions and billions. This is the somber reality we have to face up to in Nigeria. God save Nigeria from Nigerians. Disclaimer: "The views/contents expressed in this article are the sole responsibility of Fredrick Nwabufo and do not necessarily reflect those of The Nigerian Voice. The Nigerian Voice will not be responsible or liable for any inaccurate or incorrect statements contained in this article."